As a busy Realtor on the go, you are likely multitasking on your smartphone or tablet on a daily basis, traveling to different locations, and accessing online resources from various sources of secured and unsecured Wi-Fi connections. An October 2013 study by the Pennsylvania Association of Realtors showed that more than 80 percent of Realtor respondents rely on their cellphone as their primary source of business calls, while 72 percent use it for website visits, 56 percent for accessing the MLS, and 59 percent for social media specifically. Worried about your privacy? 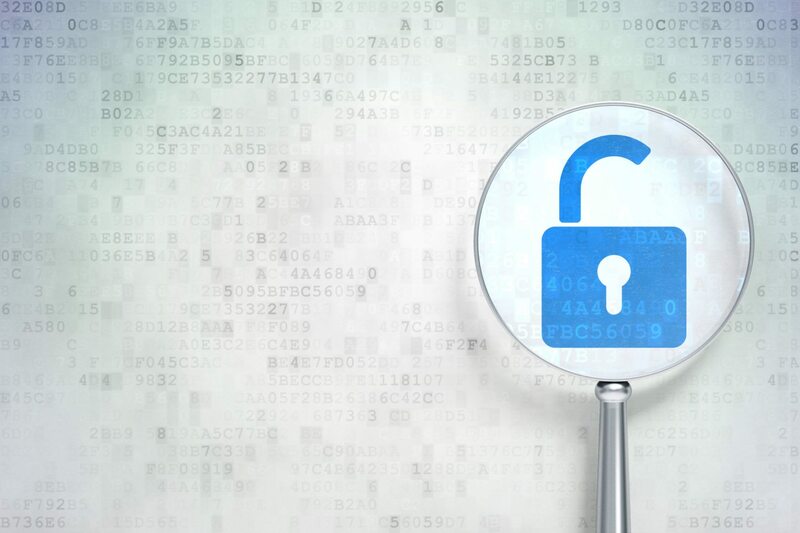 No, I’m not here to scare you, but to make you aware of a little-known resource you can use to make sure that your risk of Facebook hacking is reduced. 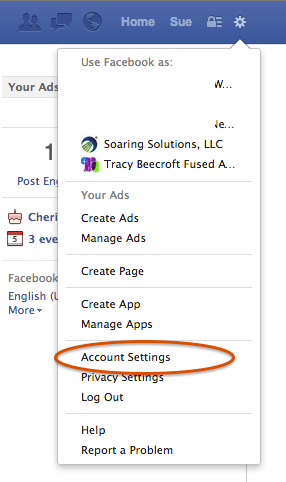 Did you know that you are able to identify all active sessions accessing your Facebook account and make sure they are all you? 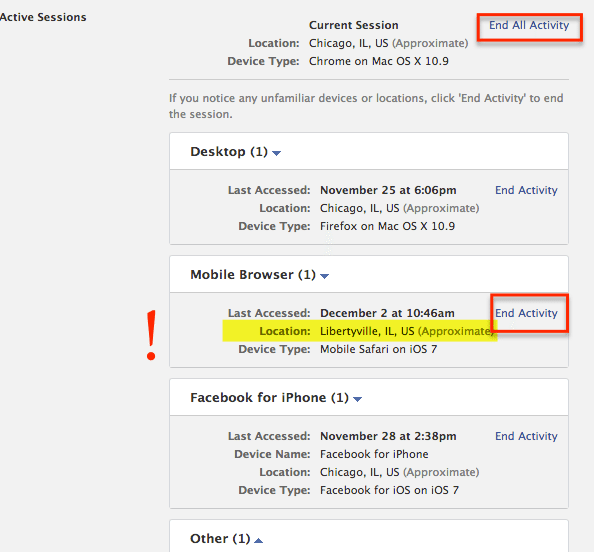 A Facebook “active session” indicates from what device and location (based on IP address) your Facebook account was accessed. 2. Find your active sessions: Click on “Security” to the left, and you will see the “Active Sessions” section at the bottom of the screen. 3. Confirm your safety, or end active sessions. See something unfamiliar? You can click to end all active sessions, or end a particular session in question. You may find three different situations. 1. Safe! They are all you. 2. What, I never went to Libertyville? That can’t be me! 3. Facebook has made an error. (I know, shocking.) I have tested posting on Facebook with location settings turned “on” from various locations. While clearly within Chicago city limits, Facebook tagged the post as “from Libertyville IL.” Safest bet? End the session anyway, and change your password. Find your active sessions and end any that are not familiar. If you are an avid social media user on the go, I recommend checking this at least once a month, if not weekly. I’ve had many clients do this to find fortunately boring results, and others find more than 15 active sessions from various cities and sometimes countries. A few minutes a week is worth your privacy. Share the knowledge! If you see friends posting about weight loss pills in your newsfeed, I highly recommend sending them this article.